Born January 2, 1924 in Hopewell, New Jersey to Lena and Winfield Moyer, he was the middle of five boys. He grew up in Lansdale, PA, excelled in high school, and went on to Trinity College where he was engaged in a variety of endeavors from yearbook editor to wide receiver for the football team to thespian activities, amongst others, all earning him the distinction of being voted “Did the most for Trinity” by his classmates. His experience at Trinity was emblematic of how he lived his life: intellectually curious, engaged with the community, physically active and always thinking of others first. He went on to the University of Pennsylvania Medical School where his kind, gentle and compassionate personality pointed to a career in pediatrics. For reasons of which we’re not quite sure, he always felt that he belonged in New England and thus began a pediatric residency at Hartford Hospital in 1948. Shortly thereafter, he met the love of his life, Lorna Calkin, a nurse in the Hartford Hospital nursery. They were married in Berwick, Nova Scotia a year later and settled in Manchester where he lived for most of the following 70 years. Bud loved spending time with his wife, especially in the kitchen, where they worked seamlessly to create gourmet meals for special occasions and wonderful everyday dinners. He enjoyed a round of golf with friends and taught us the joy of fresh air and a good walk. He treasured his many friendships. But, mostly, he loved his family, and had special bonds with his children, grandchildren and great-grandchildren. Bud valued service to the community and demonstrated this by serving on boards at the Lutz Museum and Early Childhood Center. He was president of the Manchester Memorial Hospital staff for two years. He volunteered as a doctor in the community wellness center. When he lost the love of his life in 1990 just as he was entering retirement, he found meaning in his life by volunteering at Habitat for Humanity. His twenty-plus years at Habitat for Humanity earned him the honor of a Lifetime Achievement award, as well as having two houses built in his name- one in East Hartford and a second in the Dominican Republic. When he was no longer able to build houses, he volunteered at the MACC Food Pantry two days a week until the age of 92. When asked at the age of 93 if he had any regrets, he simply said: “I wish I could still be helping people”. Thus, he taught us one more great life-lesson, a motto that he lived by: “To find yourself, lose yourself in others”. These public accomplishments, while a good reflection of the man Bud was, are still a modest indication of the impact that he had on his family and those around him. He lived by the values of thoughtfulness, integrity, modesty, kindness, honesty and gratitude. He unassumingly bestowed those values on generations of his family, his many friends and those who had the privilege of knowing him. We are richer for the experience. Bud is survived by his four loving children, eleven grandchildren and twelve great-grandchildren: Dr. David Moyer and his wife, Marybeth; Susan and her husband, Dr. Fred Hossler; Paul Moyer and his wife, Marie; and Marina and her husband, Michael Shawcross. His grandchildren include MaryKate and Dave Haverly, Kara and Clinton Black, Megan and John Kelly, Kurt Hossler, Drs. Eric and Nichole Hossler, Mark and Nicole Hossler, Kiera Moyer, Colin Moyer, Brent and Julie Shawcross, Tyler Shawcross and Brooke Shawcross. Bud’s great-grandchildren include Claire, Laura and Annabelle Haverly; Tucker Black; Myles and Ayla Kelly; Tyson, Vivian and Nathan Hossler; and Jacob, Noah and Maggie Hossler. In lieu of flowers, the family suggests memorial donations to Hartford Habitat for Humanity(P.O. Box 1933, Hartford, CT 06144) or Manchester Area Conference of Churches (MACC Charities, P.O. Box 3804, Manchester, CT 06045-3804). Calling hours will be held at the Holmes-Watkins Funeral Home (400 Main Street, Manchester, CT 06040) on Tuesday, April 9, 2019 from 4:00 PM to 7:00 PM. 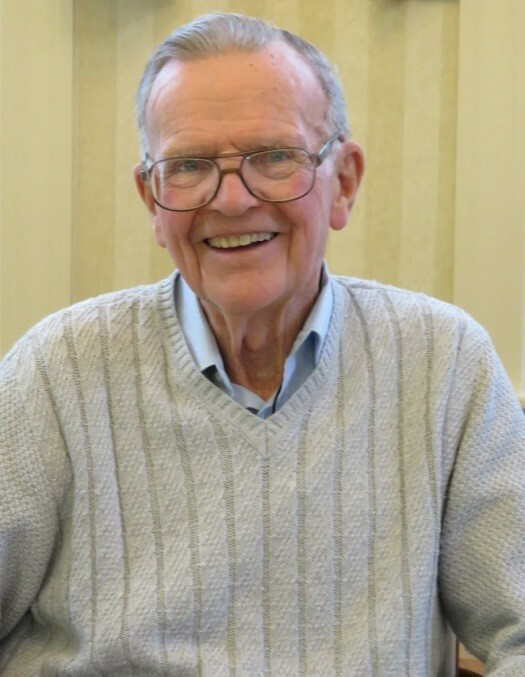 A celebration of life will be held at North United Methodist Church (300 Parker Street, Manchester, CT 06042) on Wednesday, April 10, 2019 at 10:00 AM. Burial will follow in East Cemetery, Manchester, next to his beloved wife, Lorna. To leave an online message of condolence, please visit www.holmeswatkins.com.